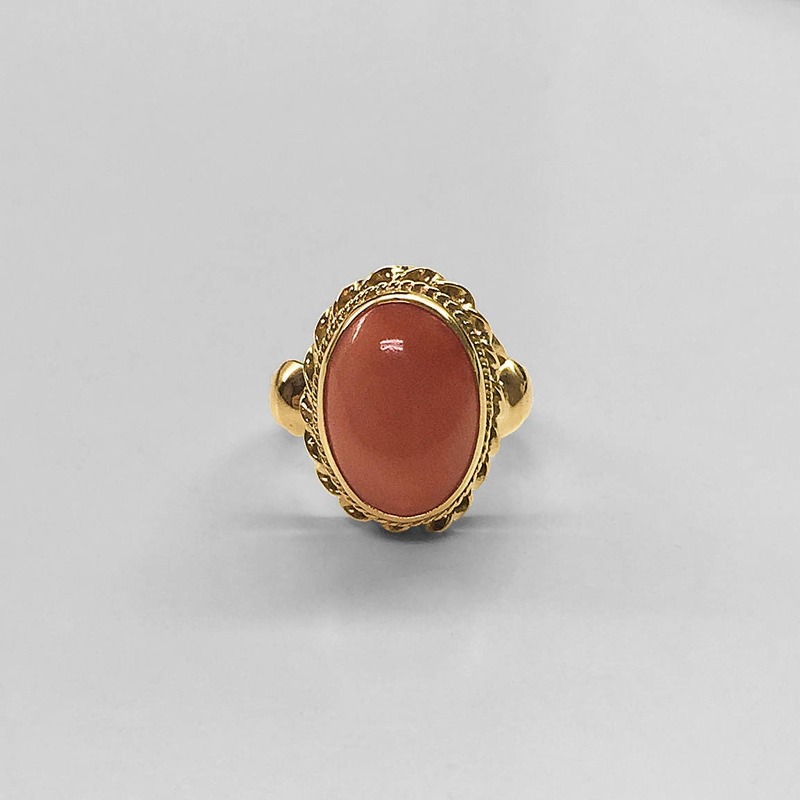 This 14K Yellow Gold beautifully detailed vintage Ring is bezel set with a fine Italian high-polished cabochon Coral measuring 14 millimeters long by 10 millimeters wide. 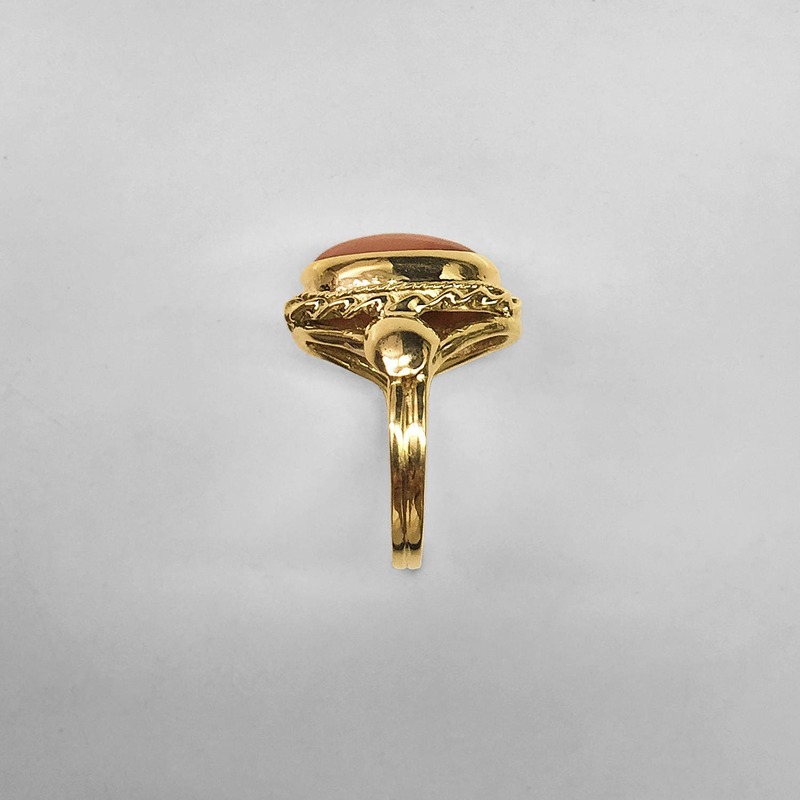 The circa 1960's mounting is beautifully made of heavy stock and has a bright polished bezel which is trimmed in a double row of twisted rope gold. The inner twist being more delicate, the outer twist being bolder and more pronounced. A truly elegant piece of quality jewelry. 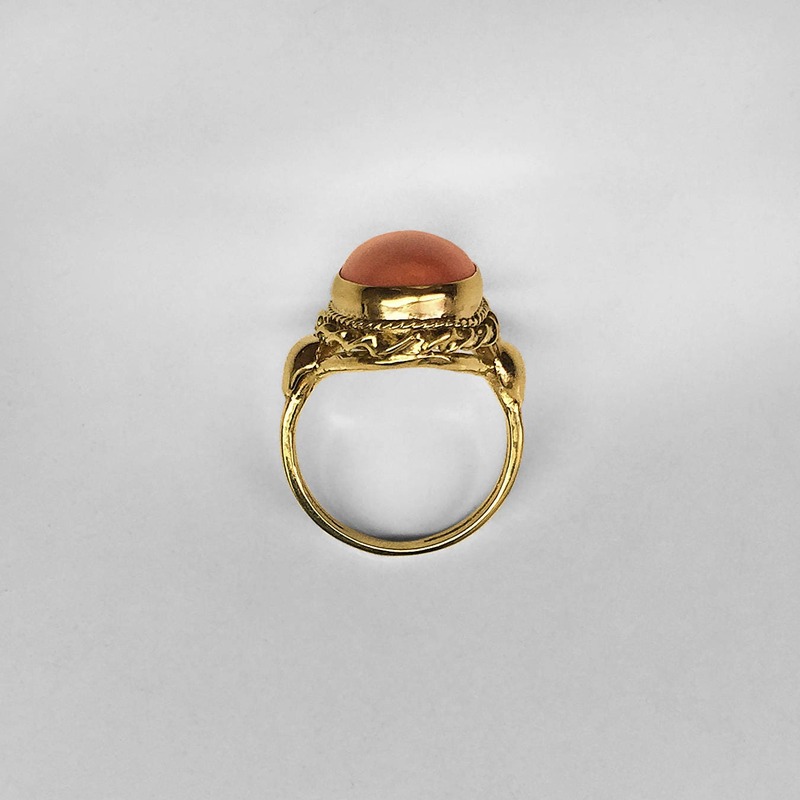 The ring is currently a size 4 1/4 but could be sized easily to fit your finger.